Get to work diagnosing tree diseases with our pictoral summary of 10 common tree diseases. Comprehensive details about visible damage as well as control measures accompany each image to help you get a handle on what is troubling your tree. 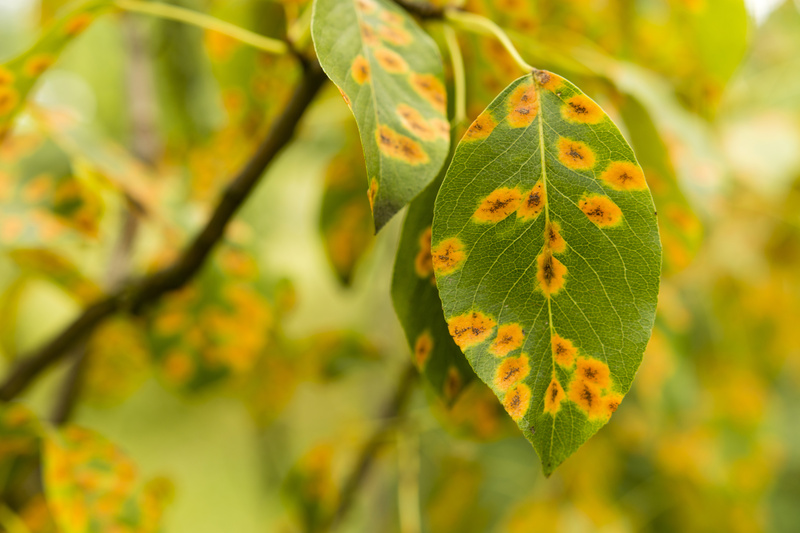 When you see orange, gold, or reddish spots rupturing leaf surfaces, you're dealing with rust. While it rarely kills plants, rust fungus makes leaves unsightly and weakens the plant by interfering with photosynthesis, the process a plant uses to make food. Each plant species that is susceptible to rust, hosts a particular rust species that may vary from other rust species in appearance. Leaves are discolored or mottled yellow to brown. Powdery fungal clusters appear on the leaves. The powdery material can be scraped off. Leaves may become twisted and distorted and may dry and drop off. Twigs may also be infected. Many rust fungi are usually harmless to the plant and rarely require control measures. Where practical, remove and destroy leaves in fall. Several fungicides are available that can control rust fungi. Check with your local extension service for current recommendations.